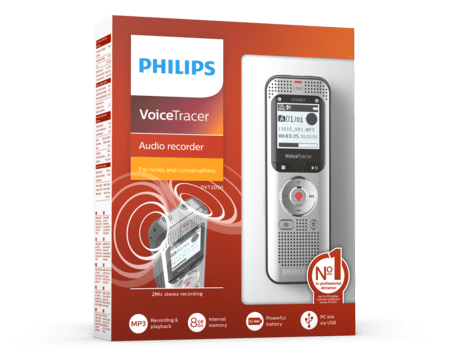 The VoiceTracer 2050 is the perfect voice recorder for capturing conversations while you are on the go. Thanks to MP3 stereo recording you get always great audio quality which you can easily share with others. With the 8 GB of built-in memory, your recorder is able to capture multiple days of continuous recording. The high-capacity Li-polymer battery can be easily charged through a standard micro USB jack. This guarantees extended battery life for extra-long recording up to 50 hours, ensuring that your recorder will always be ready to work when you are.